Lately, it seems as though almost every road we travel in South Florida is undergoing some type of construction work. While improving our roadways is both good and necessary, and road maintenance and construction are vital components to the ongoing growth of our State, these activities can also lead to the creation of road hazards, which may result in accidents and injuries to drivers, passersby and the construction workers themselves. You should be aware that, in the majority of cases, independent contractors are hired by State authorities to perform the construction and maintenance work on our highways. 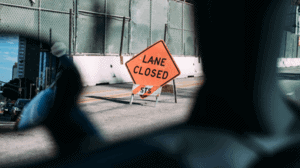 While construction companies and contractors have an obligation to ensure public safety, they might not be totally familiar with all State safety laws regarding highway construction projects, such as the proper placement of the necessary road signs, unmarked road hazards, and scattered debris resulting from the construction process. Fortunately, these contractors are required to have liability insurance to protect the public in the event of an accident. If you have been involved in an accident related to highway construction work in South Florida, you may be entitled to monetary damages. The attorneys at Fenstersheib Law Group, P.A., have many years of experience representing clients who have been injured in such cases. We know the safety laws and can easily identify and examine any regulatory violations that have been committed, and we will evaluate your options free of charge and advise you of the necessary steps to secure the compensation you deserve for your pain and suffering. Call us today, toll-free, at 1-800-TellRobert. Our phones are answered 24 hours a day, 7 days per week. Home > General Blogs > Have You Been Involved In An Accident Related To Highway Construction In Florida?